Hurry! This offer won’t last. Once you've reserved your stay, by booking on SunscapeResorts.com or by calling 866-SUNSCAPE, please click below to redeem your promotion. To qualify for this promotion, you must submit the redemption form. The Groups, Gatherings & Getaways promotion is valid on all new reservations and requests. Guests must check with their local Tour Operator or Travel Agent to confirm that this promotion is available during preferred dates. All reservations must be booked through the same source in order to qualify for this offer. Promotion applies to all room occupancies. All reservations are subject to availability and can be closed out at any time. Blackout dates may apply and are subject to change at any time. Blackout dates and restrictions may apply, please contact hotel, tour operator or travel agent with any questions or concerns. This promotion is only available to social groups. Not applicable to incentive groups. Please check with the individual resort for details regarding participation and blackouts. 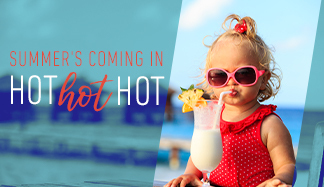 Guests booking directly, either at SunscapeResorts.com or calling 1.866.SUNSCAPE, must designate a group leader to complete the form at http://www.amresorts.com/promotions/3g/sunscape.html in order to redeem this promotion. If guests booked through a travel agent or tour operator, they must contact them directly for their booking procedures on this promotion. Form must be completed or the travel agent/tour operator must be notified, 30 days prior to booking. Any changes after 30 days must be reported immediately. No changes of any type are allowed 7 days or less before arrival. The refund of sixth room will not be issued until 7 days prior to travel. For questions or concerns, please contact the Groups Department at the respective property. There is a 6 room minimum for this offer and 20 room maximum, including complimentary rooms. Social groups are defined as groups that do not require any additional services, planned events, meeting space, food and beverage events, etc. Any group requiring services of any kind must be directed to the hotels Groups Sales Manager and are subject to a surcharge. Ten rooms or more are considered a group and must contact the resort directly to receive a group contract. Every sixth room within the group will be complimentary with a maximum of three complimentary rooms per group booking (room nights calculated daily and are not cumulative). It is not required to have 5 paid rooms in the same room category in order to receive the 6th room free. Complimentary rooms are to be applied to the lowest total value room of any occupancy. Additionally, the complimentary room will be given for the same number of nights that the majority of the rooms have been booked. (i.e. - If 5 rooms are booked for 5 nights and 1 room booked for 3 nights, the 1 room for 3 nights booked would be free because that room holds the lowest value). 1 complimentary room upgrade for every 10 rooms paid with a maximum of two upgrades per day (room nights calculated daily and are not cumulative). Upgrades are given to the next room category where the bulk of the 10 rooms are met. The complimentary room(s) will be issued in the same room category as the other 5 paid rooms. Room upgrades are based on availability and apply to the next room category where a room block of 10 rooms are achieved for the average length of stay. Private check-in is applicable when the group arrives to the resort all together and the resort has been notified at least 30 days prior to arrival. $200 in Resort Coupons per room, per stay based on resort and room categories booked. These are combinable unless otherwise indicated. Guests will receive $200 in coupons broken down as such: three coupons worth $40 each, two coupons worth $20 each and four coupons worth $10 each. These coupons may be used only as follows: $100 for Spa treatment, $60 for romantic dining, and $40 for wine purchases. Spa treatment coupons are broken down in two coupons worth $40 and one coupon worth $20. Only one coupon can be redeemed per spa treatment. To use coupons for romantic dining, one $40 coupon and one $20 coupon may be combined, resulting in a total discount of $60 off one romantic dining experience. When using coupons towards wine purchases, only coupons worth $10 may be used and cannot be combined, therefore one $10 coupon can be applied toward one bottle of wine. Resort Coupons must be redeemed at the time of reservation or service. Resort Coupons do not hold any cash or commercial value, are not refundable and non-transferable. They are not applicable for tips, taxes, private functions and/or special events such as Christmas and New Year's Gala dinners. Resort Coupons are not accumulative and cannot be combined with any other promotion or special offer including, but not limited to spa treatment discounts. They are only valid during the original stay and cannot be deducted upon check out. Not combinable with other promotions or special offers unless otherwise indicated in the promotion. This entire offer is based on availability and can be modified or closed out at any time. Not applicable to group bookings. Employees of tour operators and wholesalers do not qualify. The 3G offer may be combinable with other promotions however, it cannot be combined with other Groups Promotions or Solo Traveler Savings. Restrictions may apply and this entire offer is based on availability. Complimentary Wedding Package can be booked in conjunction with the 3G promotion only when all of the requirements and conditions of the complimentary wedding package are separately met. Blackout dates and restrictions may apply. Valid for agents from United States and Canada only. Employees of tour operators and wholesalers do not qualify.